A MUST READ BY EVERY RED BLOODED AMERICAN…..Expressing The Feelings Of Many…. I received the following from a reader. The author has signed his name at the bottom of the letter. He has done this country a service for writing it. The least I can do is pass it on. If you know this gentleman, please thank him for me. American hostages seized in attack on gas facility in Algeria…..
An unspecified number of Americans were taken hostage by Islamist guerrillas early Wednesday in a brazen attack on a remote gas-production facility in Algeria, the U.S. State Department said. The attack — which reportedly resulted in the death of two people and the capture of several dozen foreign workers, most of them European — appeared to be retaliation for Algeria’s decision to allow France to use its airspace to send warplanes to neighboring Mali, where French forces have been conducting airstrikes and support operations to aid Malian troops in their battle against Islamic insurgents. How do we kill Obamacare now? It is very simple……House Republicans alone have it in their power to kill Obamacare, cut $1 trillion in borrowing and spending and start the nation’s return to constitutionally limited government with one vote. 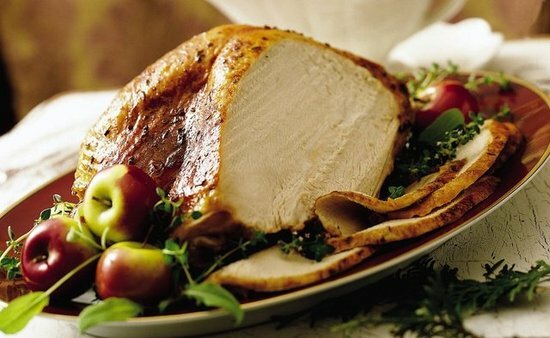 Despite its superior taste, dark meat has dark undertones for some. Dark meat evokes the color of earth, soil. Dark meat seems to summon up ancient fears of contamination and miscegenation as opposed to the supposed superior purity of white meat. I guess it shouldn’t be a surprise that white meat remains the choice of a holiday that celebrates Puritans”. The whole “Republicans are racist” game is getting tiring and ridiculous. This article was originally written in 2010, but Slate felt the need to resurface this silly and contrived argument for what reason – they really wanted Americans that like and enjoy white turkey meat to feel guilty about their turkey choices?